The 4,707 Mazda vehicles onboard the "It almost sunk!" 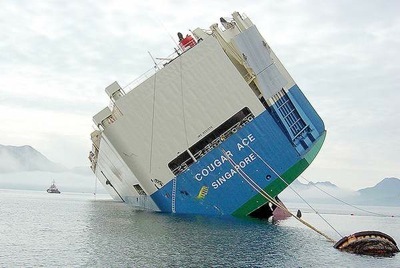 cargo ship Cougar Ace will not be sold, according to Mazda. The automaker had originally decided to sell the undamaged vehicles aboard the stricken vessel, but they've since reverse position on their decision, deciding the potential for problems was too great. Instead, the cars will be scrapped. Farewell, brave wee Mazdas. Farewell.